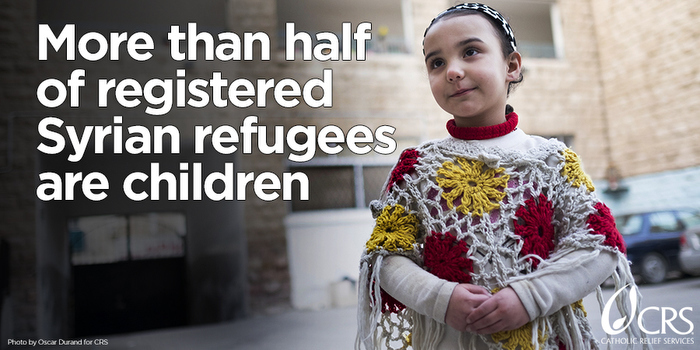 Facing an uncertain future, Syrian refugees are struggling to survive. With violence continuing in their homeland, they wait in camps hoping that a country will offer them asylum. Catholic Relief Services supports the efforts of Pope Francis, who says "there must be no family without a home, no refugee without a welcome, no person without dignity." As a humanitarian organization that has come to the aid of more than 1.25 million war-affected Syrians, CRS calls on all involved to allow those fleeing violence to reach safety. 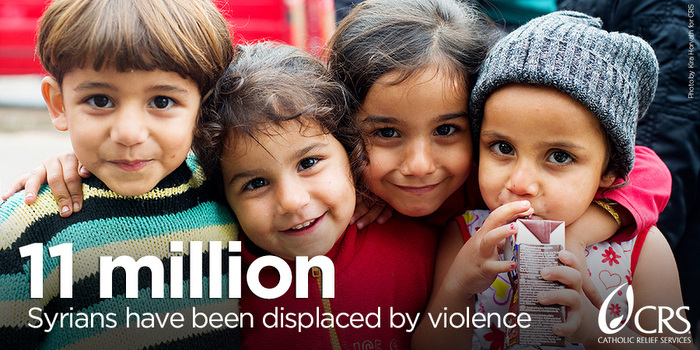 We continue to provide life-saving assistance to Syrian refugees across the Middle East and Europe. While Catholic Relief Services is providing support to those in need, this crisis is turning into one of the greatest humanitarian emergencies today. 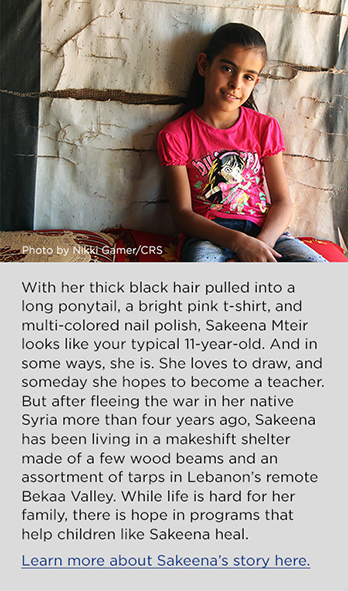 Here are 7 ways you can make a difference in the lives of Syrian refugees. One of the best ways to help is through donating to accredited nonprofit organizations that are responding to the crisis. More than 90 percent of money donated to CRS goes directly to people in need. The more you learn about this crisis, the more you’ll understand its underlying causes and can spread the word. Continued warfare in Syria, the drought in Somalia and violence in places like Iraq and Afghanistan, has contributed to the surge of refugees from those countries. Meanwhile, deteriorating economic conditions in places like Sub-Saharan Africa has led people to Europe in search of a better life. The refugee ban complicates matters. Here are some good resources for you. You can provide direct assistance by setting up a page to raise money to support our emergency efforts. Your support will ensure that we can provide immediate assistance, including food, water, access to sanitation, legal services and medical care. For years, countries in the Middle East have been sheltering the largest number of Syrians and Iraqis. CRS is calling on the United States to continue and expand humanitarian assistance to Syrian refugees in these countries, as well as those burdened by this new migration. Most importantly, the United States should lead concerted diplomatic efforts to end the fighting in Syria. But you have a part, too. Read more about how our nation’s leaders can respond to the crisis, and write a letter urging them to take up the cause. Follow and retweet @CatholicRelief and @CRSNews on Twitter for the latest updates on the #RefugeeCrisis that’s reached Europe. Also, share the memes on this page on your social media channels to stand in solidarity with our brothers and sisters. Pray for protection for refugees around the world, as well as for personal transformation, as we face the needs of refugees everywhere, by using this Prayer for Refugees. Although CRS works exclusively overseas, there are many ways to help refugees in the United States. Let Capitol Hill know this issue matters to you and we need to do more together. Support organizations such as Migration and Refugee Services and your local Catholic Charities. You can also volunteer to help refugees in your own area through local refugee resettlement centers.